I feel constant tension in my shoulders, back, neck, held deeply in my physical body: fear, negative thoughts, darkest secrets, dishonesty with myself. It’s time to release… let it go!… one paper strip at a time. 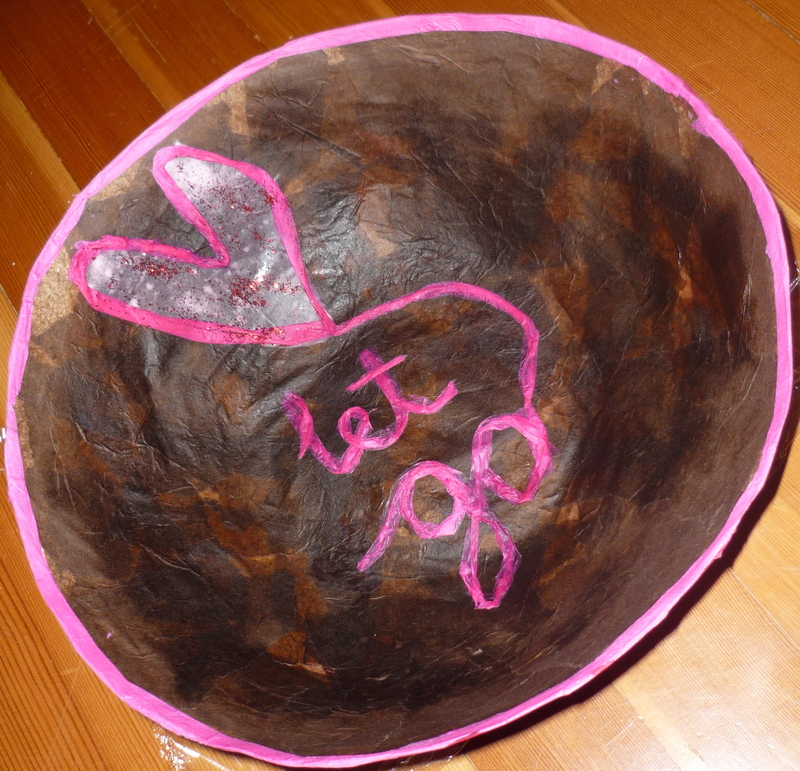 A heart bowl … in honour of letting go. Let us move freely as human beings. Let us flow and feel graceful without the weight of tension and stress. Cheers… to release! … followed by a deep long sigh.